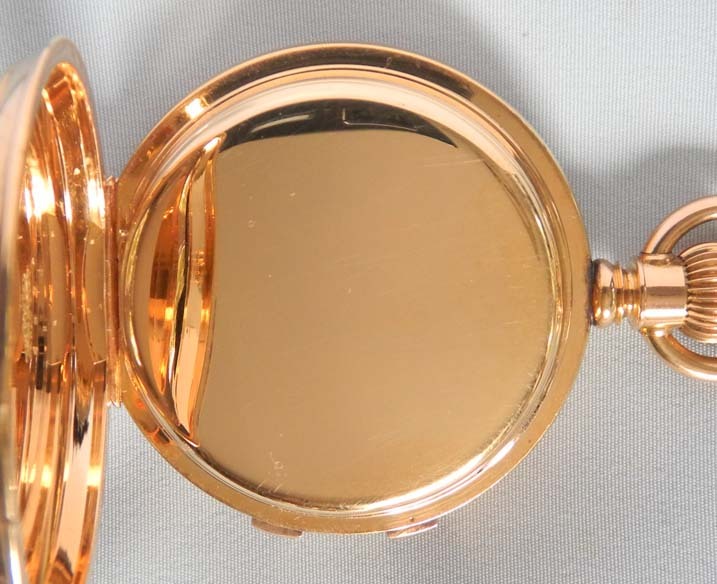 Fine Audemars Piguet 18K gold split second chronograph with register circa 1888. 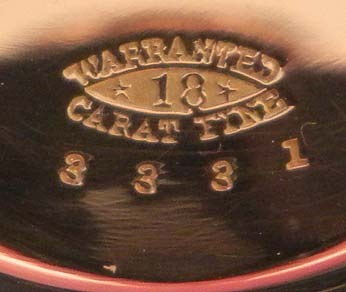 Fine white enamel dial (clean hairlines and flakes around the center hole) with black and red markings and blued steel hands. 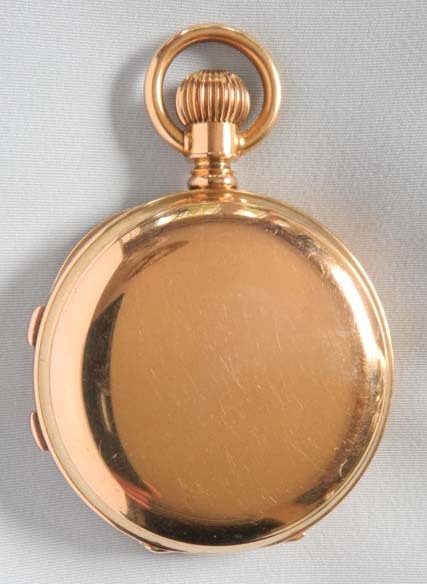 Heavy plain polish case with two chronograph buttons in the band. 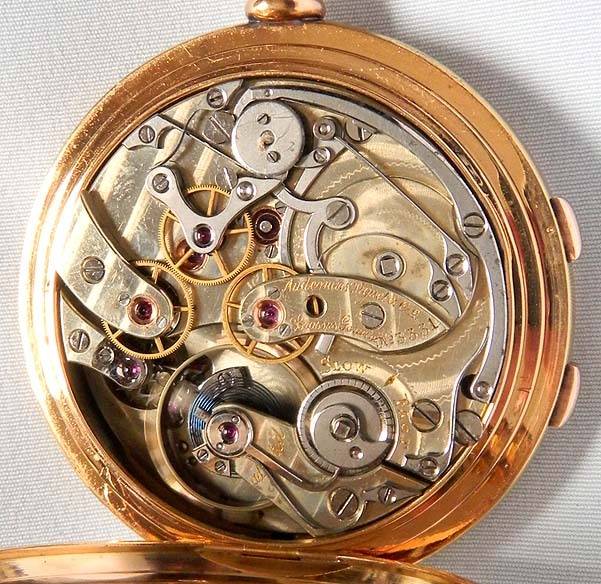 First quality estimated 23 jewel movement with precision snail regulator. This watch can time two separate events. When one button is depressed the chronograph starts. When the other button is depressed the chronograph hand splits and one of the hands stops. The other hand continues until the first button is pushed again. The upper dial records elapsed minutes. 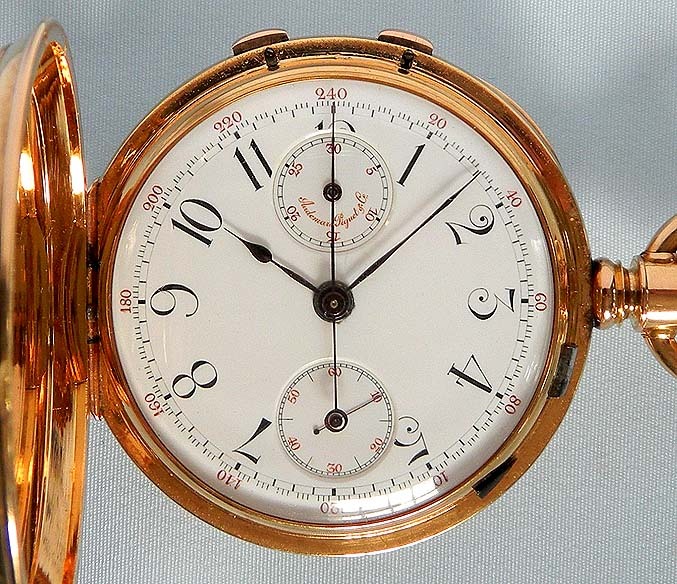 This is a very early example of this type of watch from Audemars Piguet.